We assess your true site conditions to better manage your assets. Legacy information on existing assets isn’t always accurate or up to date, creating a variety of risks to asset owners. Using 3D scans as part of our standard workflow ensures any work undertaken is based upon accurate, up-to-date information, irrespective of changes that may have been made to your assets over the years. When it comes to renewing and augmenting assets, 3D scanning allows us to minimise inaccuracies, eliminate delays and changes during construction, and provide exceptionally accurate as-built drawings that truly reflect your site’s conditions. 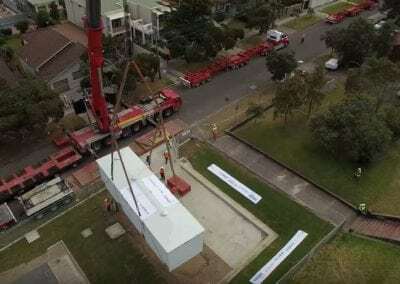 And from there, using technologies such as virtual and augmented reality software, building information modelling (BIM) and 4D modelling, we can accurately map out just about any possibility so you can see clearly how your systems might be maintained, upgraded or expanded. 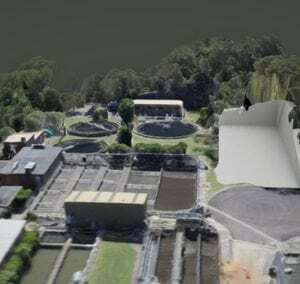 Using UAVs, LIDAR and point cloud scanning we were able to build an accurate virtual model of the Hornsby Heights waste water treatment plant. 3D BIM was used for design reviews, while 4D modelling helped us sequence the proposed construction works. Need to understand the current state of your assets?